"I have been acquainted with the smell of death." So begins Clytemnestra's tale of her own life in ancient Mycenae, the legendary Greek city from which her husband King Agamemnon left when he set sail with his army for Troy. Clytemnestra rules Mycenae now, along with her new lover Aegisthus, and together they plot the bloody murder of Agamemnon on the day of his return after nine years at war. Judged, despised, cursed by gods she has long since lost faith in, Clytemnestra reveals the tragic saga that led to these bloody actions: how her husband deceived her eldest daughter Iphigeneia with a promise of marriage to Achilles, only to sacrifice her because that is what he was told would make the winds blow in his favor and take him to Troy; how she seduced and collaborated with the prisoner Aegisthus, who shared her bed in the dark and could kill; how Agamemnon came back with a lover himself; and how Clytemnestra finally achieved her vengeance for his stunning betrayal - his quest for victory, greater than his love for his child. In House of Names, Colm Tóibín brings a modern sensibility and language to an ancient classic, and gives this extraordinary character new life, so that we not only believe Clytemnestra's thirst for revenge, but applaud it. He brilliantly inhabits the mind of one of Greek myth's most powerful villains to reveal the love, lust, and pain she feels. Told in fours parts, this is a fiercely dramatic portrait of a murderess, who will herself be murdered by her own son, Orestes. 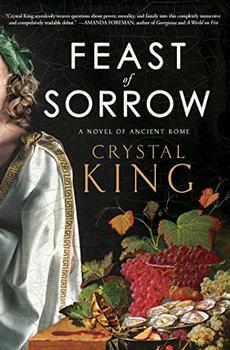 It is Orestes' story, too: his capture by the forces of his mother's lover Aegisthus, his escape and his exile. And it is the story of the vengeful Electra, who watches over her mother and Aegisthus with cold anger and slow calculation, until, on the return of her brother, she has the fates of both of them in her hands. When I had finished my novel Nora Webster, which followed Brooklyn, I knew that I would not write about Enniscorthy again for a while. I felt as though I had dreamed the town where I grew up out of my system. One day, a friend suggested I should look at the story of Clytemnestra, the figure in Greek theatre, who murdered her husband, Agamemnon, and was in turn murdered by her son, Orestes, egged on by his sister Electra. At first I was not sure. But I became interested in re-seeing this fierce and ferociously dramatic family. I saw motive. I saw love and hatred and jealousy. I saw most of the book happening in a single space, almost like a town, a place full of secrets and whispers and rumors. What could have become a trite, overwrought, emotional depiction of "woman goes mad with grief, and is further corrupted by power" and, therefore, a backwards-looking cautionary tale, is, instead, presented as moving and human. While the depicted deeds by multiple characters are villainous to the point that even Lady Macbeth looks positively virtuous, Tóibín's narrative leads the reader to a place of compassion for these characters, and a better understanding of why darkness may come to reside in the human heart. (Reviewed by Michelle Anya Anjirbag). This reboot of an ancient story is alternately fiery and plodding, but Tóibín plainly grasps the reasons for its timelessness. Starred Review. Far from the Brooklyn or Ireland of his recent bestsellers, Tóibín explores universal themes of failure, loss, loneliness, and repression. Starred Review. Brilliant...Tóibín's accomplishment here is to render myth plausible while at the same time preserving its high drama. Starred Review. This extraordinary book reads like a pristine translation rather than a retelling, conveying both confounded strangeness and timeless truths about love's sometimes terrible and always exhilarating energies. 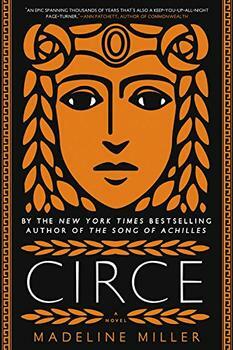 The daring, dazzling and highly anticipated follow-up to the New York Times bestseller The Song of Achilles.